Browse our new selection of trucks. We have a great selection of new SUVs that will fit your families needs. Our selection of new sedan vehicles means there’s one for your everyday lifestyle. Our impressive selection of new vehicles means there’s one that fits you. 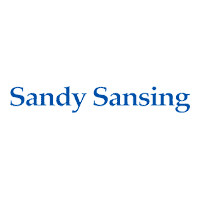 With the full inventory of Sandy Sansing Auto Group, we have over a thousand vehicles to choose. Our expert techs are trained so they can work on any make or model. Very nice people ,And very good dependable cars and trucks.. I love my car for the price in paying, come see the Governor he will help you get in a car. Sandy Sansing Can. Whether you’re here for a brand new state of the-art-vehicle or hunting a bargain from our vast used inventory, Sandy Sansing can, and will, provide. Sandy Sansing Dealerships is the Automotive Home for Chevrolet, Nissan, Ford, Mazda, BMW, MINI, Chrysler, Dodge, Jeep, RAM and Toyota Drivers in Pensacola, Milton, Fort Walton Beach, Crestview, and Mobile. Here at Sandy Sansing Dealerships, we always strive to deliver a first-class car-shopping experience to Chevrolet, Nissan, Ford, Mazda, BMW, MINI, Chrysler, Dodge, Jeep, RAM and Toyota drivers throughout Pensacola, Milton, Fort Walton Beach, Crestview, and Mobile. We make that possible by providing a stunning collection of vehicles, hassle-free financing, and high-quality service and repairs. That’s how we’re able to serve as the one-stop shop for buying, financing and servicing Chevrolet, Nissan, Ford, Mazda, BMW, Chrysler, Dodge, Jeep, RAM and Toyota trucks, SUVs, and cars! If you’re in the market for a new car, truck or SUV Sandy Sansing Dealerships keeps a wide range of new Chevrolet Silverado 1500, Nissan Rogue, Ford F-150, Mazda CX-5, BMW X3, Chrysler 300, Dodge Journey, Jeep Wrangler, RAM 1500 and Toyota Camry vehicles in stock. Be sure to take a look at what currently have to offer, and be sure to contact us with any questions. Of course, if a test drive is in order, we’re more than happy to set one up at your convenience. When it comes to the used car selection at Sandy Sansing Dealerships, our vehicles don’t have to be fresh off the production line to be high quality. That’s because we go the extra mile in making sure that each and every model that gets slated for sale undergoes a thorough inspection first. You may be looking at a used car, but it’s certainly new to you. We want to make sure that it looks and drives that way, too. Found The Chevrolet, Nissan, Ford, Mazda, BMW, MINI, Chrysler, Dodge, Jeep, RAM or Toyota Model Of Your Dreams? We know full well that buying a Chevrolet Silverado 1500, Nissan Rogue, Ford F-150, Mazda CX-5, BMW X3, Chrysler 300, Dodge Journey, Jeep Wrangler, RAM 1500 and Toyota Camry is one of the biggest and most important investments you can make. Here at Sandy Sansing Dealerships, our financial experts will guide you every step of the way to get you behind the wheel in a way that you’re completely comfortable with. Thanks to our wide selection of car loan and lease options to choose from, owning the car of dreams have never been easier. Now, we can’t overstate the importance of routine service when it comes to maintaining your car’s overall health and peak performance. There’s also no replacing the expert service and craftsmanship that you’ll always enjoy at our Chevrolet, Nissan, BMW, MINI, Ford, Mazda, and Toyota Service Center in Pensacola. We’re staffed by highly-skilled technicians that know all the ins and out of your car. We employ Genuine parts and accessories along with cutting-edge maintenance equipment to perform essential car services like oil change, brake repair, tire rotation, check engine light diagnosis, state inspection and much more! Here at Sandy Sansing Dealerships, we’re serving drivers in Pensacola, Milton, Mobile AL, Fort Walton Beach, Crestview, and Mobile with all of their automotive needs. Whether a new or used car is in order or a little maintenance is required, visit us at 6200 Pensacola Blvd. in Pensacola, FL and we’d be happy to help you, too.